Shelda Debowski is a leading international expert in educational leadership and tertiary education development. She has a long history in higher education as a Deputy Vice Chancellor, Professor of Higher Education Development and academic within the disciplines of business and education. Shelda holds a PhD in Organisational Psychology, Masters and Bachelor degrees in Education and a Bachelor of Arts. She is a professional member of the Australian Psychological Society and a certified member of the Australian Human Resource Institute. A graduate of the Australian Institute for Company Directors, she holds fellowships from the Australian Institute of Management (AIM), the Association for Tertiary Education Managers (ATEM) and the Higher Education Research and Development Society of Australasia (HERDSA). Shelda is also a Churchill Fellow. 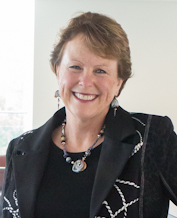 As President of HERDSA from 2005 – 2009 and 2011 – 2013 and the International Consortium for Educational Development (ICED) from 2008 – 2010 Shelda provided high-level leadership of international higher education networks. Under her guidance, these two networks strengthened and consolidated their reach and reputation across the sector. A number of large collaborative projects have been led by Professor Debowski. These include the Future Research Leaders Program and the Professional Skills for Research Leaders, an initiative hosted by Epigeum, Imperial College, London. These innovative online programs have provided academics with much needed guidance on managing their research roles. Shelda’s latest publication, The New Academic: A Strategic Handbook, also provides invaluable support to early career academics. It offers a holistic view of academic work that recognises the integrated nature of teaching, research and engagement. She has a notable publication track record in the field of learning and development. Her innovative approaches have been recognised nationally through the Telstra Business Women’s Awards (State Finalist, 2009 and 2012) and as a national finalist in the AHRI awards (2009 and 2012).